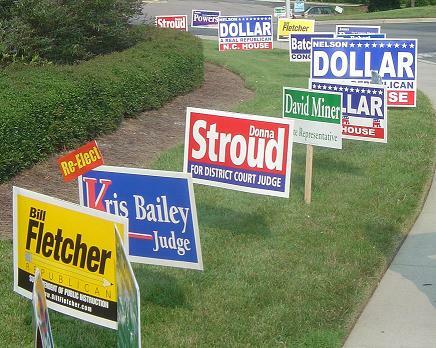 With the political season in full swing, the Gulf Gate Community Association reminds you that our deed restrictions prohibit the display of signs of any nature larger than 1 foot square except for real estate signs (for sale or rent) of not more than 5 foot square. While the Board supports your political enthusiasm, we do not have the authority to change this deed restriction article, and therefore we are required by our Bylaws to enforce it. If you have signs in your yard, please remove them.